Forget to order a turkey? No time to bake a pie? We've got you covered. Being tasked with bringing sides to Thanksgiving dinner is stressful. 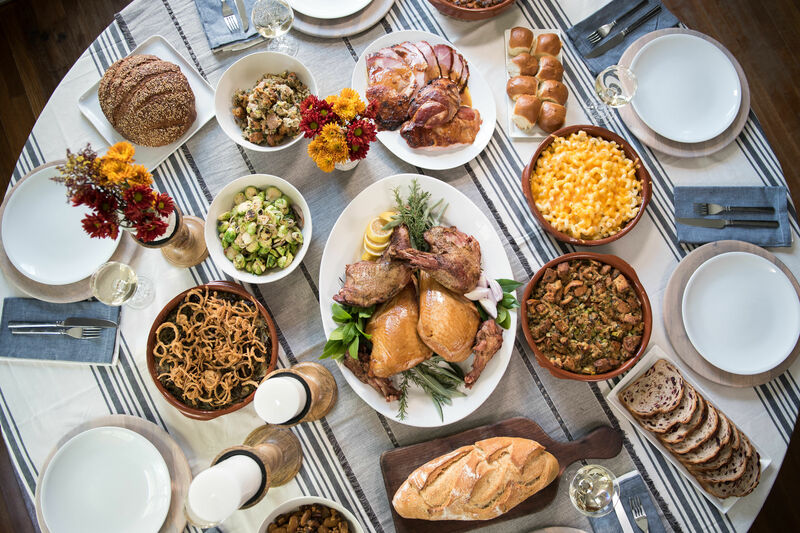 Being in charge of making an entire Thanksgiving feast yourself is even worse. But, look, it's only once a year. Once a year that your family and friends sit down to use the nice dishes and nice silverware in the nice dining room and all agree not to talk about politics or the time you got arrested and your dad had to come bail you out on a Sunday night—at least until the pie is served. Thanksgiving is actually pretty great, unless you mess up the macaroni and cheese one year and your mother yells at you in the kitchen in front of the entire family. And even then, there's still pie at the end of it all. Let's say you're like me and you mess up every year at Thanksgiving. 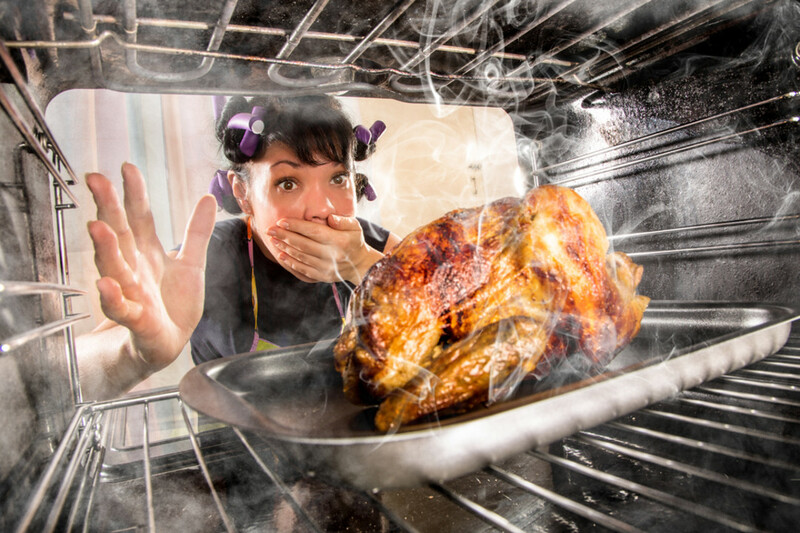 You screw up that macaroni and cheese (guilty), or you buy the wrong kind of syrup for the pecan pie (guilty), or you forget to thaw the turkey ahead of time (also guilty). 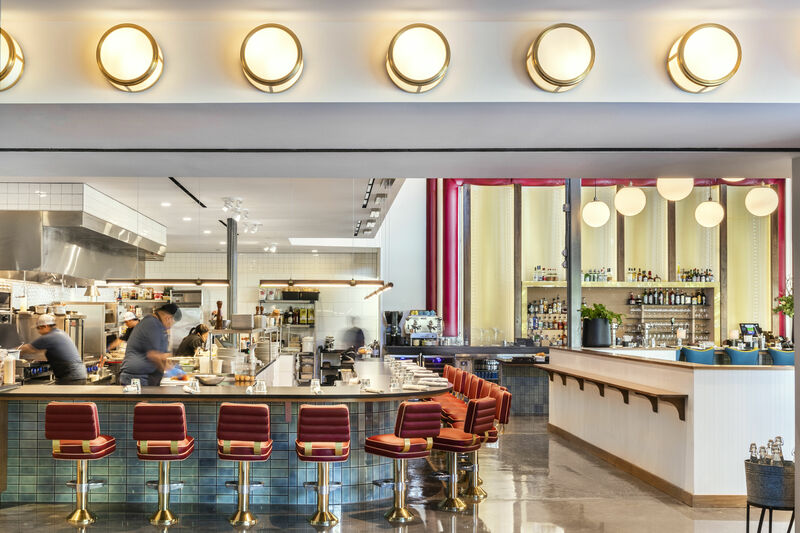 Don't fret; Houston's restaurants will be there for you up until Turkey Day itself. Here's our quick and handy guide to saving Thanksgiving. Ragin' Cajun: The original Richmond Ave. location of this Houston classic still has Cajun-fried turkeys ($54.99) available for pick-up—it fries up 1,600 every holiday season, after all. This terrific turkey weighs between 9 and 11 pounds and will feed 15 people. Ragin' Cajun is open until 9 p.m. tonight and 3 p.m. tomorrow, and though you can probably still walk in and pick up a fried turkey today, the restaurant recommends calling and reserving one ahead of time just to make sure you get your bird. Revival Market: Head to the refrigerated case in this Heights grocery store to pick up pre-made, better-than-homemade side dishes such as green bean casserole ($10.95), macaroni and cheese ($10.95), broccoli-cheese casserole ($12.95), potato gratin ($11.95), dressing/stuffing ($7.95), cranberry sauce ($11.95), roasted brussels sprouts ($7.95), parmesan and herb-roasted potatoes ($7.95), and even duck fat-roasted potatoes ($6.95). Each side dish feeds between two to three people, so stock up accordingly. 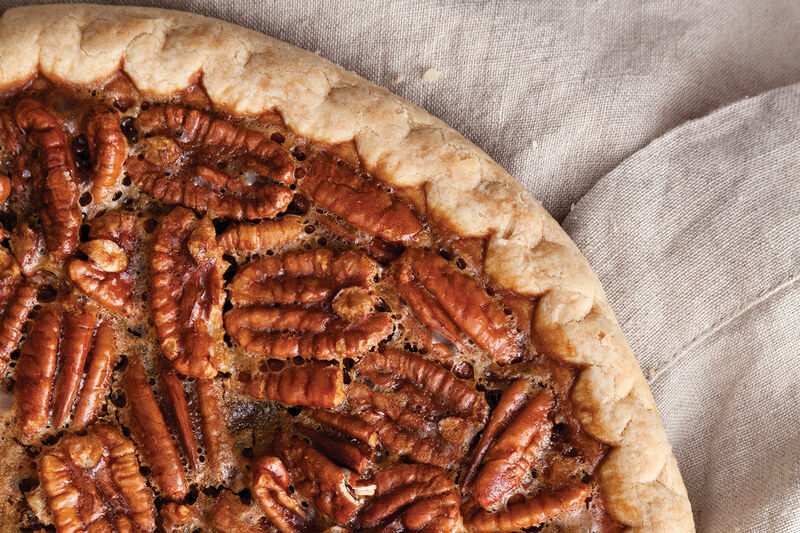 Goode Co. BBQ: The family-owned company responsible for making the best pecan pie in Houston (so good, in fact, that counterfeit Goode Co. pecan pies actually exist) is hosting its annual Thanksgiving drive-thru pie booth today and tomorrow from 8 a.m. to 5 p.m. at all three Goode Co. BBQ locations around town. The pies range in price from the entry-level Brazos Bottom Pecan Pie for $20 to the more elaborate version in its own wooden box for $37, though Goode Co. also has chocolate cream pies to pick up for $18. Luby's: So your turkey dinner has been destroyed by the Bumpus hounds. 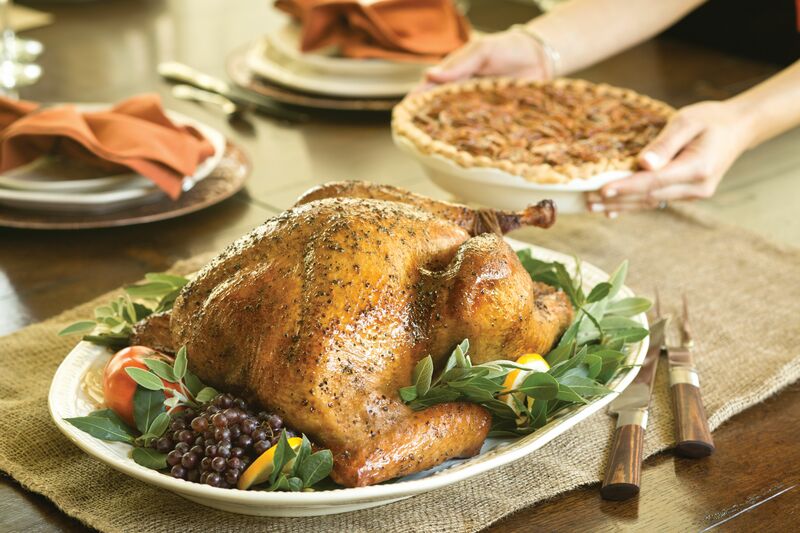 You could go get Chinese food, or you could get a proper Thanksgiving meal at Luby's—all Houston-area locations are open on Thanksgiving Day. For $10.95 per person, you'll get a "holiday entree," cornbread dressing, two "holiday sides," a dinner roll, and a "holiday dessert." We're frankly not entirely sure what these holiday dishes are, though we're assuming turkey is involved somewhere along the way. Either way, you won't have to wash the dishes when you're done.